Folks, we just read a couple of news stories that made our energy-efficiency-loving hearts swell with hometown pride. 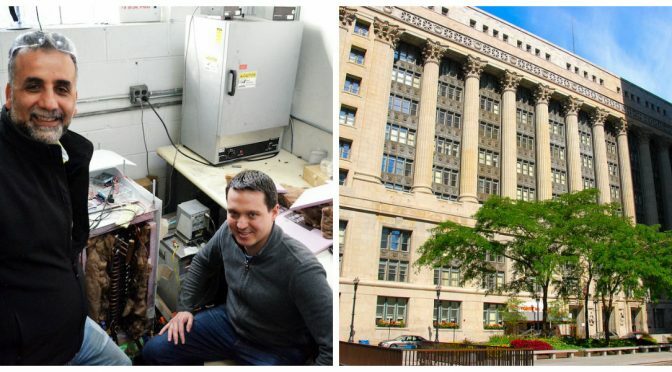 Since 2013, large buildings in Chicago — we’re talking over 50,000 square feet — have been reporting their energy usage to the city in an effort to bring down the city’s overall energy consumption. Results are in, and it looks like these buildings managed to save $6.2 million per year between 2014 and 2015, while at the same time reducing their greenhouse gas emissions by 189,550 tons. While this is good news, you might be thinking that there are probably not too many buildings that large in Chicago — and you’d be right. But here’s the significant thing: Although buildings of this size only make up 1% of Chicago’s buildings, they produce 20% of the whole city’s energy use. With that share of the city’s energy consumption, big cuts in this sector make an impact. To find out what changes your favorite landmarks made to lower their energy costs and to learn about what bumps they encountered on the road, check out the full article at Midwest Energy News. Also worth a read, Midwest Energy News reported on efforts by a Chicago-based startup, NETenergy, to develop green air conditioning. The company, started by a chemical engineering professor at the University of Illinois – Chicago, is working on producing a cold storage technology called “black ice,” made from wax and graphite. The idea is to reduce the amount of energy air conditioning systems pull from the electrical grid, by allowing them to only operate during off-peak hours. During the day, when energy demands are high, buildings could rely on the artificial ice as an alternative cooling system. The company has been awarded funding by the Clean Energy Trust’s Clean Energy Challenge to work on a prototype of their technology. So keep an eye out for updates on their work. To learn more about this project, check out Midwest Energy News — and if you’re feeling inspired by these local accomplishments, turn that buzz into action by following some of our tips and tricks to reduce your own energy consumption at home.